The Kardashian-Jenner family is growing by three this year, and Kylie Jenner is the latest new mom to make Kris Jenner a grandmother again. Kris couldn’t be happier about her ever-expanding brood, and says she continues to be “obsessed” with her family, her number one priority. After much speculation that Kylie was playing the role of surrogate to Kim Kardashian and Kanye West’s baby girl (born two weeks ago), rumors have finally been put to rest. Kylie shares that her pregnancy was “the most beautiful, empowering and life changing experience” she’s ever had. “I’ve never felt love and happiness like this I could burst!” the cosmetics mogul gushed of becoming a mom for the first time. Grandma Kris has some advice for Kylie: “Enjoy every second.” She also says that working with her family keeps them close knit.”I feel like so blessed that I get to work with my kids everyday and we’re always together, so yeah it’s nice. I have an amazing life,” Kris tells US Weekly. So, does this mean Kylie’s baby is already trademarked and slated for a role in the family biz? Uh oh. 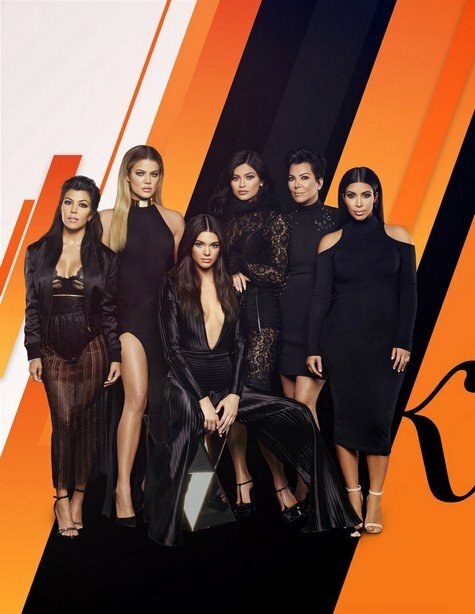 Since they’re currently filming Keeping Up With The Kardashians, viewers will likely get a peek into the three birth stories playing out in the Kardashian-Jenner tribe this year. In addition to Kim and Kylie’s new arrivals, Khloe Kardashian is also expecting a baby boy with her boyfriend Tristan Thompson. It’s a baby bonanza up in here, people! TELL US: DO YOU HOPE TO SEE KYLIE’S PREGNANCY & NEW MOM ROLE FEATURED ON KUWTK? Reality Star Photo Roundup: Phaedra Parks, D’Andra Simmons, Kyle Richards, Yolanda Hadid and More!